I consider my decision to not have children personal rather than global. 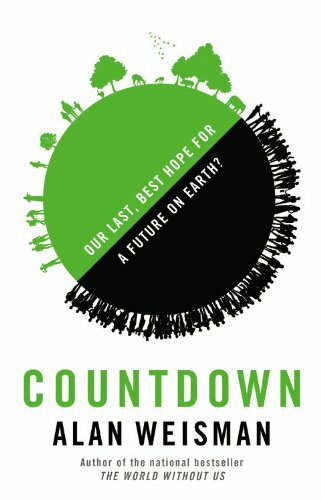 However, a new book by Alan Wiseman, Countdown: Our Last, Best Hope For a Future on Earth?, reminds me that more people who choose to remain childless may hold the key to protecting our planet and sustaining it for generations upon generations. Yes, Wiseman’s theory and my beliefs are controversial. But I’m afraid that any intelligent discussion about the very real problems our exploding global population poses for our earth gets shut down immediately because (like with any controversial issue) people get so emotional and refuse to hear the arguments. I understand the emotion. You don’t want to mess with freedoms and choices people want to make to have children. Just as I have many reasons for not wanting children, others have many reasons for bringing forth new life. Forced anything–abortion, one-child rules, sterilization, etc.–should not be an option in this discussion, in my opinion. I heard an interview with Wiseman on the New York Times Book Review podcast (I haven’t read the book yet–I’m in the process of downloading an audio file ). He says the same thing, that policies regarding population control are not the solution. Instead, he points to education. Are there young women around the world who don’t realize they have an option? That cultural and religious reasons also act as population controls, but only in the sense of promoting a larger population? According to Wiseman, we are adding 1 million people to the planet every 40 days. In his interview, he said that the planet is expected to have 13 billion people by the end of this century. He says that simply is not sustainable and actually won’t happen–something would have to give far before we reach that number. Is it fair to ask women (and men) to consider this question: “Is this truly what you want?” To ask themselves if the accepted narrative is one that they want to follow? It’s one thing to make a choice; it’s another thing to blindly follow along because it’s the formulaic storyline. When I recently subbed in an adult ESL class, two of the Somali women had 11 children. Eleven! Only one didn’t have any, though she’s married, and it seemed she was embarrassed; I wondered if she biologically couldn’t, but I’m not sure her culture/religion thought this was okay. I believe lack of education in regards to choice, as you mentioned, does play into this. But then what about families such as the Duggar family with their 19 (20?) children? They have this many because they feel it’s God who is making the choice for them, that He’ll give them only what they can handle. As a parent of twin teens, I’m here to say that parenting is THE hardest job I’ve ever done. I admire those like you, Rachael, who don’t follow the prescription of 2.5 children. As a teacher, I know many parents out there who should’ve never made the choice to conceive–they neglect and/or abuse their children. It’ll be interesting to see how this issue does pan out. I think having children just because it’s the “thing to do” is revolting. I’ve worked with children for many years and believe me, they know when they weren’t wanted. We are expecting our first – and very likely our only – in January. I will turn 30 in February. 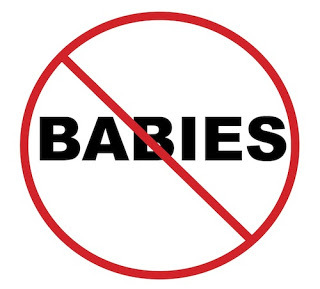 The very idea that I waited until I was practically 30 to have a baby really concerns people. The very idea that we are pretty sure we are a one and done family REALLY concerns people. I grew up as an only child and while I would have loved siblings from time to time, I certainly don’t think my parents were abusive or selfish for having one child (things they have been called). Sounds like a fascinating read! Congratulations! It’s fascinating how worked up people get about other people’s decisions about children–whether it is to have none, to have one, or to have several. A similar projection of population growth as well as the inability for the earth to sustain life was developed in the late 1860s and 70’s. At that time, available resources and current population growth were correlated at MIT and the stats suggested the same scenario. The book was titled The Limits of Growth. I am anxious to read Alan Wiseman’s book on this topic too. I’m glad this has been a topic for discussion for decades. I just hope we don’t reach some kind of crisis point. I just started the Wiseman book and it’s already fascinating. It’s interesting to learn the reasons some societies give for encouraging large families.